Introduction: We observed several cases of infective endocarditis (IE) in our hospital that were associated with intracardiac central venous catheter (CVC) tips. A review of guidelines highlighted the lack of guidance about optimal CVC position. Because of the potential causal relationship between IE and an intracardiac line tip, we conducted an evaluation of CVC tip position in our organization. Methods: We reviewed the chest radiographs of patients who had CVCs inserted during a one-year period and measured the distance of the catheter tip from the carina. 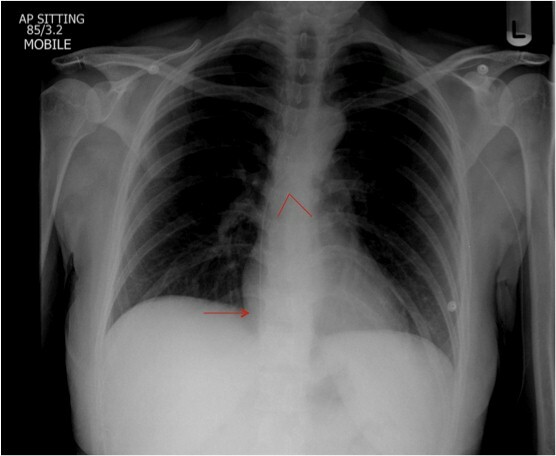 Intracardiac position was defined as >3 cm distal to the carina. Results: 119 patients were included. 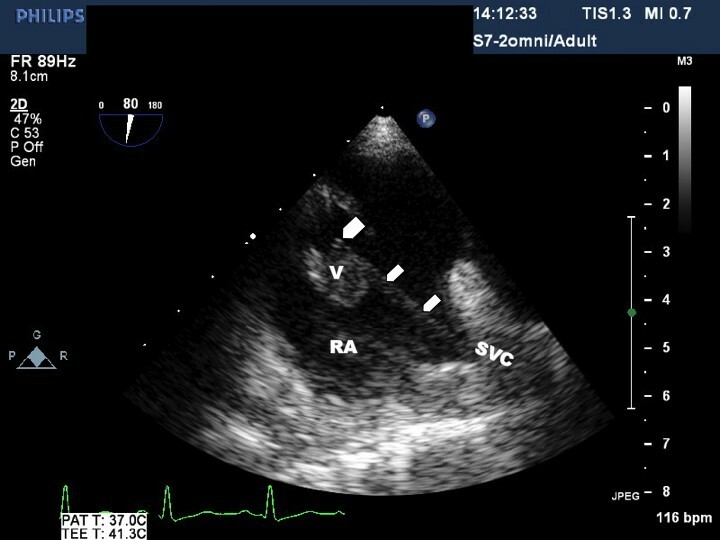 Intracardiac position of CVC tip was seen in 31% of cases. 10% were positioned >5cm distal to the carina. Fluoroscopy-guided insertion did not provide more accurate positioning of catheter tips than non-fluoroscopically guided insertion (intracardiac position 34% vs 24%). CXR reporting of line-tip position was inconsistent; 8% were correctly reported to be intracardiac. In 92% where the CVC was intracardiac by our criteria, the CXR was either not reported or incorrectly reported. Conclusions: Our evaluation revealed a significant proportion of intracardiac CVC tip placements and inconsistent performance and reporting of post insertion CXR. We hope to raise awareness of this important patient safety issue. IE as a consequence of poor CVC positioning is a devastating complication which results in a significant increase in mortality and hospital stay. We hope to encourage inclusion of clear line tip positioning information in guidelines and thereby reduce the risk of both IE and other complications associated with sub-optimal line tip placement.